In business for over 20 years, DCR Strategies | TruCash works with a growing network of over 500 brands across the globe and manages over 1B in transactions, with over 2.4 million cardholders in over 27 counties around the world. Our team of experts can help you deliver creative incentive and reward solutions, unique loyalty programs, and efficient disbursement systems. We also offer comprehensive marketing and support services for businesses, financial institutions, and government departments. Diana Fletcher is a Canadian-born entrepreneur, Fintech visionary and business woman who founded a number of successful companies before creating DCR Strategies Inc., in 2000 (a forward-thinking Canadian Fintech Pioneer). Fletcher made headlines in the “Business without Borders Report” (Banking Tech Magazine, May 2013), also winning numerous payment industry awards, most recently the “Paytech for good award” recognizing meaningful contributions to their community, year after year. 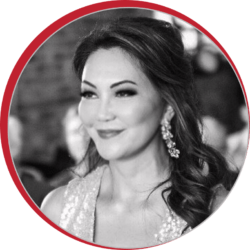 Diana is an entrepreneur in one of Canada’s fastest moving industries, a sophisticated investor, philanthropist and self-made millionaire. “I am a result-oriented leader and an expert in developing loyalty initiatives that help our clients achieve their objectives, whether that’s increased sales, more efficient services, or better client or employee retention”. 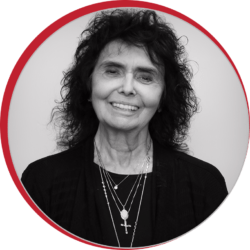 Huguette is a Proven CEO with 30+ years of experience in the the marketing and loyalty industries. Angela Weidner joins DCR as SVP of Global Financial Services, bringing over 20 years of industry knowledge and experience in the banking sector with particular expertise in Credit Card Processing Services, Payment Gateway Solutions, eCommerce Merchant Accounts, Personal lending, Retail Banking, Third Party lending and Prepaid Debit Solutions. 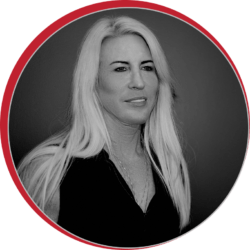 Angela has a long track record of success, including implementing Prepaid as a new product at Home Trust Company and expanding ISO relationships with Global Payments Canada. As SVP of Global Financial Services, Angela is responsible for the creation and maintenance of strategic partnerships with top-tier financial institutions around the world, as well as product delivery, compliance and on-going product innovation. Most recently, Angela served as Director Operations for Home Trust’s Visa and Mastercard Prepaid card product. Prior to this role Angela was responsible for PsiGate, a full-service Canadian e-commerce gateway and merchant acquirer. 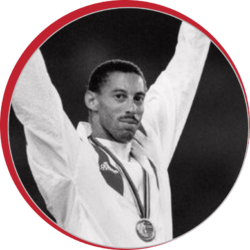 Mark McKoy, is a retired Canadian Olympic Gold Medalist. Mark’s Gold Medal in the 110-metre hurdles was the first Track & Field Gold Medal for Canada in 60 years. He was also one of the inaugural recipients to be inducted into Canadian Track Hall of Fame. Mark joins DCR bringing his years of experience and knowledge to the new business development team, helping corporations apply his life-lessons to the world of business. Since retiring from competition in 1996, McKoy has been a trainer, sports ambassador and business consultant. Mark is also CEO & President of Gold Medal Enterprises which specialize in inspiring groups and teams. 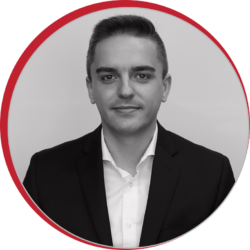 Nelson Shehaj is an experienced corporate finance professional bringing over 10 years of extensive Corporate Finance and Payment Solutions experience to the DCR team. In his current role, Nelson works closely with the Business Development team and External Stakeholders to ensure that DCR continues to deliver innovative value-added products for a wide array of Corporate Clients. Nelson is also responsible for assessing Corporate Development opportunities and performing financial due diligence on Partnerships, Strategic Alliances and Joint Ventures. Nelson is an MBA candidate at the Schulich School of Business specializing in Financial Services and Strategic Management. 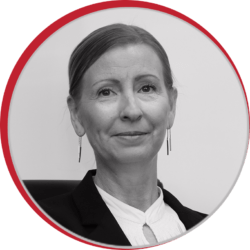 Gloria Soto is a seasoned veteran in the finance world with over 12 years of experience in the card payment sector. She has a long track record of driving increased sales and development for companies looking to drive growth with a demonstrated history of working in the financial services industry. Skilled in Sales, Customer Relationship Management (CRM), Card & Loyalty Programs, Mobile Applications, and Management. Soto is responsible for strategic partnerships with financial institutions, retailers and independent sales organizations. Chris Michaelis is an experienced Marketing Professional with over 10 years of experience in the prepaid and financial services industry. 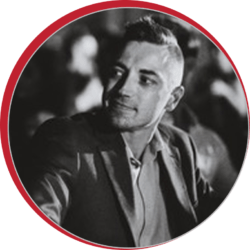 Bringing a wealth of knowledge and creativity to the DCR Team Chris is responsible for the planning, creation, execution and on-going measurement of DCR’s internal and external marketing activities. He is also responsible for the creative output of DCR Strategies’ marketing and branding products, overseeing the creative process, idea generation, presentation and execution of client branding and marketing requirements as well as the profitability and creative quality of client programs. Chris is a strong marketing professional skilled in Brand Loyalty, Customer Acquisition, Retention and Loyalty Programs.